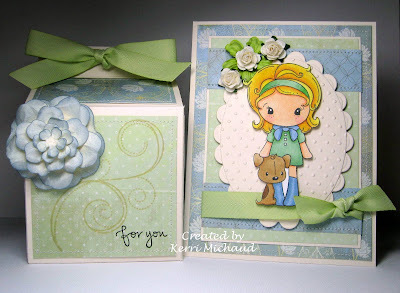 Make sure you stop back by tomorrow because I have another new card/gift set to show you as part of a special blog hop! Have a wonderful day! Kerri WOW that box is BEAUTIFUL love the colors you used!!!! What a great set...I adore it gf! So sweet! Good luck at your craft show! Wow, what a sweet creations Kerri, beautiful! So clean and lovely! I love that flower! SO super sweet Kerri! LOVE the soft colors and that gorgeous Flower! This is a sweet little set - your little girl is adorable and that flower that you made is really nice. 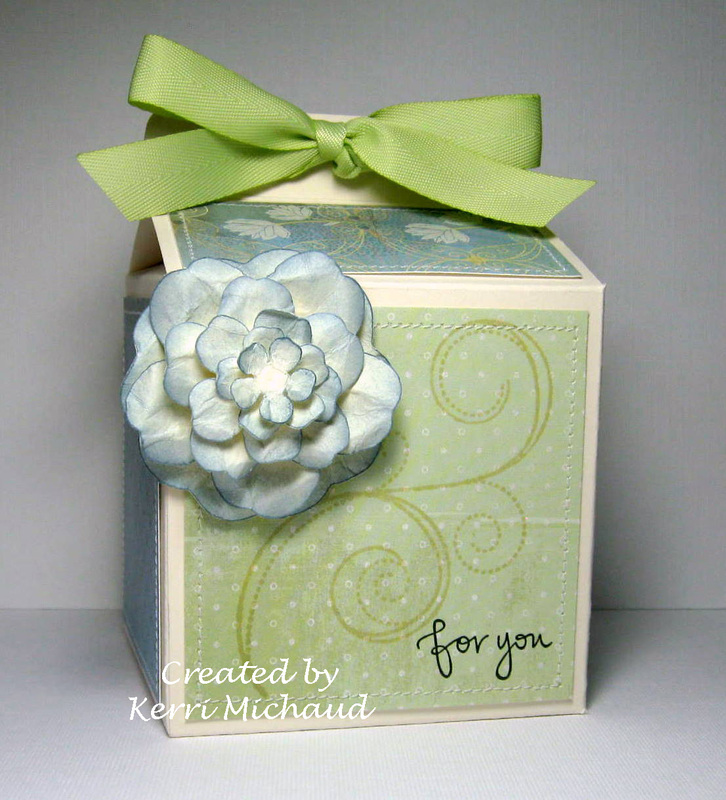 I love how you layer patterned paper on the cute carton. It always works out so well! You've got some great paper skills! I love the soft green and blues here. They are gorgeous!